ZYTO technology relies upon an array of biocommunication principles and concepts that provide users with deeper insight and information when making decisions related to health and wellness. ZYTO’s innovative decision support technology takes the guesswork out of choosing supplements and wellness services. Find out how the process works and how you can benefit from implementing our technology. ZYTO technology monitors multiple energetic inputs to determine changes in the body’s energetic coherence. When the parts and pieces of a system work in harmony with one another, we call this coherence. The greater a system’s coherence, oftentimes the greater its efficiency. Measuring this signal of cooperation, or the lack thereof, provides understanding about what may increase or decrease efficiency. The ZYTO Scan relies on galvanic skin response (GSR)—an established technology that measures fluctuations in electrical conductivity of the skin. One familiar application of GSR is lie detector testing. The ZYTO Hand Cradle measures the user’s galvanic skin response and sends that data directly to the ZYTO software for analysis. The GSR data is correlated and compared with Virtual Items in the software database. Each Virtual Item represents a different physical item. 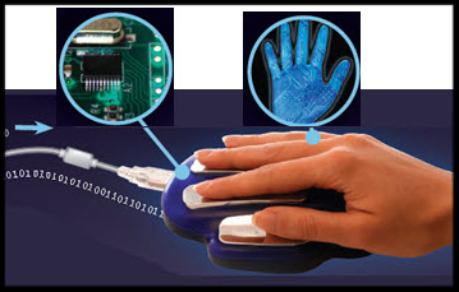 Every time the software introduces a Virtual Item a corresponding GSR reading is taken by the Hand Cradle. Each new response is measured and tracked in comparison to the GSR baseline reading. ZYTO’s proprietary software analyzes GSR data for patterns of coherence—looking for the ways your GSR readings fluctuate or shift in response to each Virtual Item. While tracking the GSR data in comparison with each Virtual Item, ZYTO software assigns each Virtual Item a positive or negative value based on the coherence patterns. Positive values indicate Virtual Items that the body is biologically coherent with. An easy-to-read report is generated that displays a ranking of the Virtual Items that resulted in greater biological coherence. The report can then be used to assist individuals as they make choices to maintain overall health and wellness. With ZYTO Remote, we can run ZYTO scans on clients anywhere in the world. Using an Internet connection and the ZYTO Remote App, we can connect with clients providing the same valuable information and services without being limited by the physical location of the office. Whether you are a practitioner or a client ZYTO REMOTE is a practical tool for all! When you purchase a ZYTO Remote we will ship a Hand Cradle directly to you. You need only follow the included instructions to download the ZYTO Remote App and quickly connect with you, your clinic, and the power of ZYTO scan technology.